Chris Adame (11-15) place is unknown and scored 0.00 team points. Jose Marino (6-18) place is unknown and scored 3.00 team points. Hugo Lopez (5-25) place is unknown and scored 0.00 team points. Jose Beltran (12-19) place is unknown and scored 1.00 team points. Emanuel Rivero (23-16) place is unknown and scored 3.00 team points. 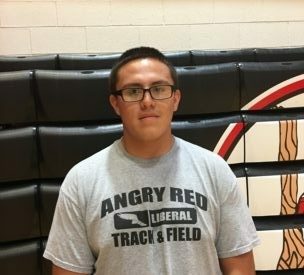 Carlos Mora (25-15) place is unknown and scored 4.00 team points. Max Lugo (7-8) place is unknown and scored 2.00 team points. Estefan Belmontes (4-14) place is unknown and scored 0.00 team points. Ivan Cruz (3-18) place is unknown and scored 3.00 team points. Misael Monarrez (31-6) placed 6th and scored 8.00 team points. Edgar Bautista (26-9) place is unknown and scored 0.00 team points. Jaime Arenivas (15-15) place is unknown and scored 0.00 team points. Elwin Trejo (29-7) placed 2nd and scored 24.00 team points.